This weekend, I saw Oz: The Great and Powerful with the fam. It was pretty good! I thought James Franco’s performance was a little uneven at times (I heard Robert Downey Jr. was actually up for the part!) but the visual effects were BEAUTIFUL. As I watched the movie, I tried to think back to the original film, putting the pieces together. On the ride home, Huff the Hubs and I exchanged theories with info from other Oz stories. This got me thinking, how many Oz stories are there? I found out. 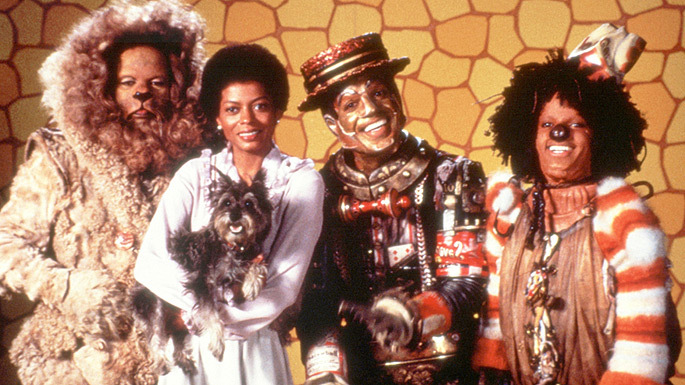 There are over 30 film and television adaptations of the world of Oz! That’s not including books, comic books, and graphic novels! Can you believe it?! Ah, the hairdos of the 70’s. I’ve actually never seen this. I mean, I’ve seen clips of it on shows like I Love the 70’s and such, but I’ve never sat down and watched the whole thing, beginning to end. Have you? Unfortunately, I have seen this movie. Huff the Hubs LOVED this movie as a kid and I bought it for him a few Christmases ago. After a lot of coaxing, I finally watched it with him. And had nightmares. 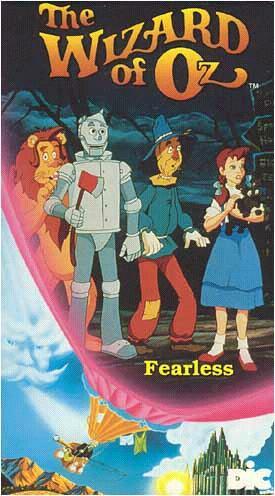 The original Oz scared me as a kid (those flying monkeys are FREAKY) but this movie shook me to my core. I’m fairly certain I had to have Huff the Hubs leave the light on until I fell asleep. The cowardly lion looks like a bear. This cartoon only ran in 1990, but somehow it seemed to slip under my radar. Which is odd, because 1990 was like, the height of my cartoon-watching days. I guys I was too busy with Tiny Toons and Animaniacs. Gurrll, let me tell you all about it! 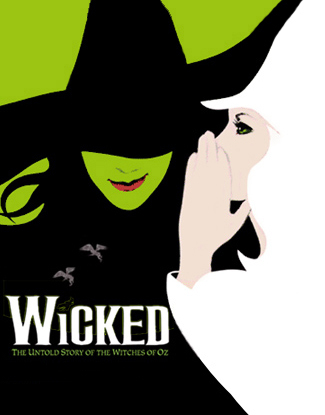 I haven’t seen the musical, but Huff the Hubs, my sister and I have tickets to a show in Dallas for April! Woot woot! I cannot wait! I’ve heard some of the music before and my sister read the book, so I am pumped! This entry was posted in Uncategorized and tagged cartoons, Huff the Hubs, Oz, Return to Oz, sister, The Wiz, Wicked, Wonderful Wizard of Oz by huffmanpost. Bookmark the permalink.